Blackledge Furniture is a fourth generation family business started in 1901 to serve the home furnishings needs of the mid-valley region. The store originally sold furniture, bedding, rugs, paints, musical instruments, and even undertaking services, as was common for furniture stores at the time. 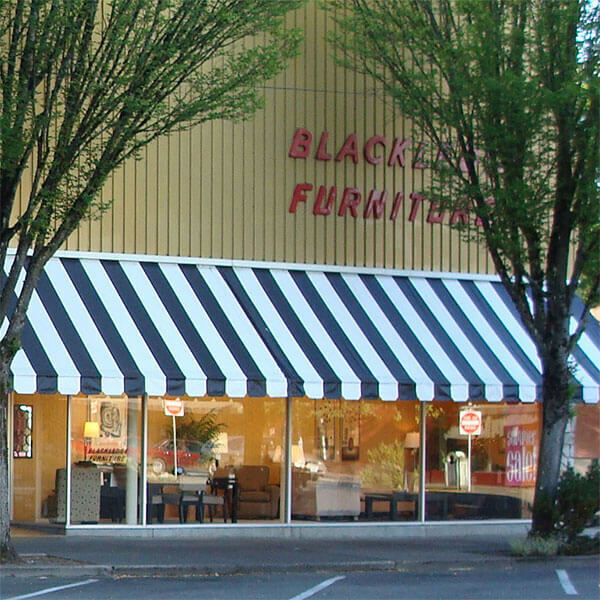 Things have changed a bit in the furniture business since that time, but Blackledge has remained focused on its founding values of satisfying the furnishing needs of consumers by offering the best possible quality, value, shopping convenience and support services from its Corvallis location. For those rare occasions when accidents do happen, Blackledge Furniture relies on SAIF OBI CompSAFE for its workers’ compensation coverage needs. “We’ve participated in the program since it started,” Blackledge continued. “The savings we see through the program are a great value. For many companies, the lower premiums alone would cover the cost of a basic OBI membership.